If you’re from West Virginia, you never really give up being a West Virginian. You root for the WVU Mountaineers. You celebrate the state’s birthday (June 20). You know and will happily sing the state song (Oh, Those WV Hills). And you keep up with what’s happening back home. Which means this past Tuesday was mighty interesting for me! As my husband and I kept up with the races in NC, I also checked those in WV now and again. With the feeling that really, if I’m from the state and care about it as much as I do, I should still get a vote. Oh well. Now, WV has long been a blue state. Although a largely conservative blue state. (We like to be different.) But as of this past election cycle the Mountain State is turning red. I suspect this is primarily due to the President’s policies relating to coal. Mining is a complex issue, but if you want to be elected in WV, you don’t mess with coal or associate with anyone who does. But it’s not just that the pendulum is swinging–it’s HOW it’s swinging. The new senator from WV, Shelley Moore Capito, is the first-ever female senator from my home state. And she’s the first Republican senator since 1958–nearly sixty years. 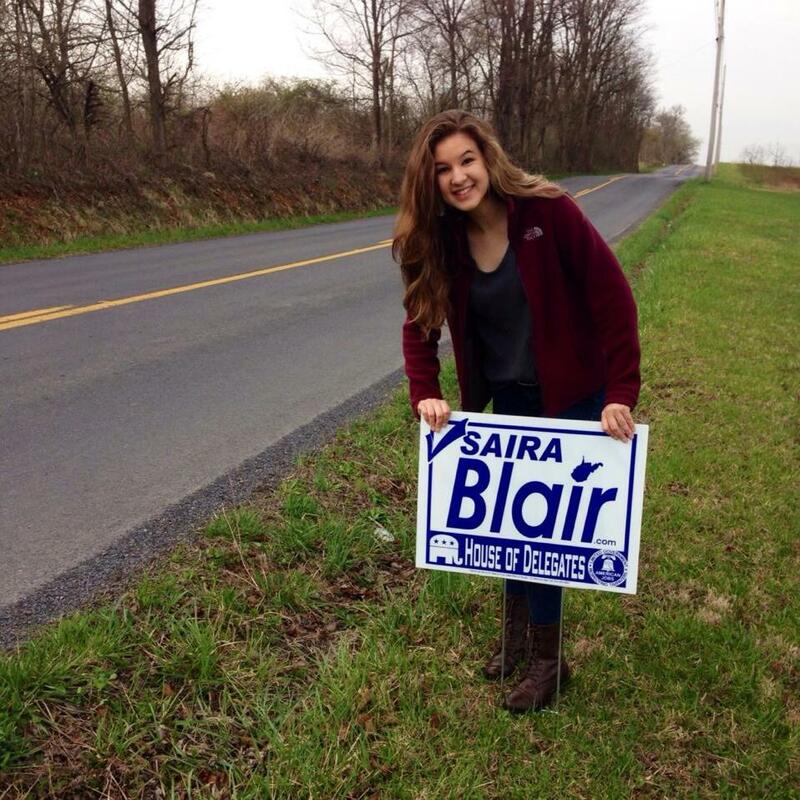 Then there’s Saira Blair, who is now the youngest person in the WV House of Delegates. Are you ready for this? She’s 18. She beat out the 66-year-old Republican incumbent in the primary when she was 17. She plans to defer her spring semester at WVU to attend the legislature’s 60-day session. I try not to talk politics much (I’ll stick with religion), but this election cycle in the Mountain State was just too exceptional to skip. Regardless of whether you’re red, blue, or some shade of purple, these are interesting days. ← When is busy too busy? There was definitely a different feeling when I went to vote this time as opposed to the last presidential election. Felt like HOPE. And I do tend to be political. But I’ve met Shelley Moore Capito and seen how she visited all the places that are important to us in the area we live in (like the local Dairy Queen!). I’m so excited about this young gal as she seems to take a firm stand on things. There is definitely a change underway in WV and it has been going on for a little while…I believe last Pres. election, WV was red. Definitely some exciting times and it makes me sad to hear people saying their vote doesn’t count. Hope is a good thing and you gotta admire someone who has the good sense to campaign at the Dairy Queen!